This site will explain the NEED for an organized citizen militia throughout "America" and the RIGHT of citizens to form and maintain them. This site will also PROVIDE ORGANIZATIONAL TOOLS to set up your own county or local militia. See an Open Letter to President Trump to draft legislation that will reduce mass shootings and preserve the God given right of the people to repel government tyranny under 1 and 2 of Tools and Tasks in left hand menu. Print them out and use them for your local community and public servants. See a Power Point Show on Real Government Solutions to Civil Violence at this link. 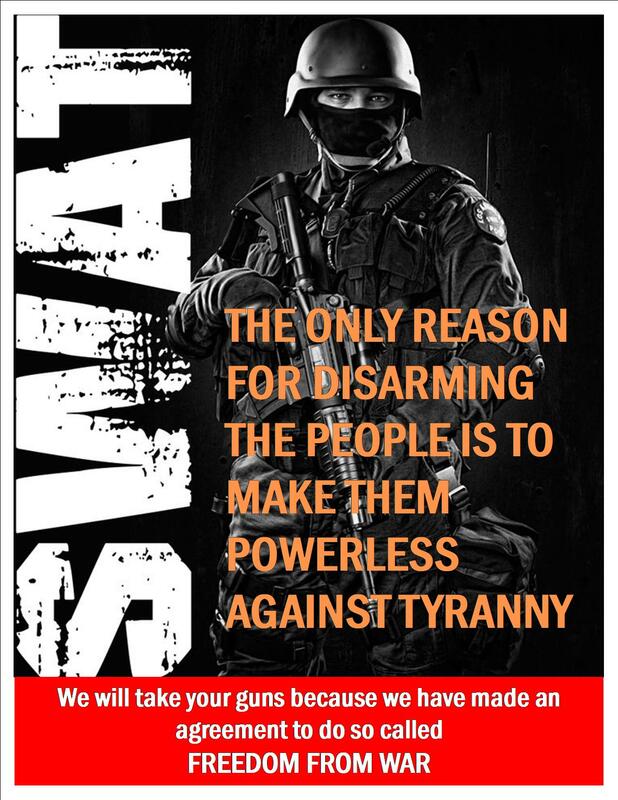 The following is the above power point narrated by Ron Avery: We are trying to form a group of citizens who want to assert their God given right to keep and bear ARMS and Militia together in order to defend their lives, liberties and possessions from a federal government gone wild and any state that attempts to support them in their efforts to disarm the people. This website was designed as a tool for us to use locally but realized that others could benefit from our efforts so they would not have to repeat all these steps to form their local militia. A good way to review this website is to listen to a radio interview of me while you go over this site. You can listen to the archive by clicking on item 2 on the right hand menu and then click on the first link to the archive. Any weapon used for an assault is an assault weapon. Any weapon used in defense is called a defense weapon. All assault weapons are unlawful and illegal because an assault is unlawful and illegal. All defense weapons are lawful and legal as it is lawful and legal to defend yourself and/or others from an assault. Therefore, we have to wait until a person uses a weapon in an assault before we can determine if the weapon they used was used in defense or assault. Government cannot pick up or confiscate any defense weapons. Such a confiscation of defense weapons would be an infringement on the God given rights of the individual to deprive them of their means of defense. Further it would be unlawful for government to prevent the manufacture and sale of any kind of defense weapon including 50 caliber fully automatic belt fed machine guns. This is because the purpose of the Second Amendment was to prevent misconstruction of the powers delegated to the federal government, and the federal government could send the US Army to trample your rights and property. The forefathers anticipated just such an event and wrote the 2nd Amendment to safeguard the people from just such an event. All regulation of any kind of firearms is unlawful and unconstitutional as it infringes upon the 2nd Amendment. The people are to be able to purchase, keep, and bear arms and Militia together in groups to defend themselves from a well equiped and trained federal army. Other links on this site prove the above points.